If you are picking up a new 3DS system this coming weekend, let's start with an older game you might want to avoid buying according to many customers. What third party 3DS launch game has the lowest customer review score average? The Sims 3. The Sims 3 has an Amazon.com customer review score average of 42.00%, based on 20 customer reviews. How does that compare to the "professional" critic review score averages? The game has a "professional" critic review score average of 52 out of 100 based on 29 reviews on MetaCritic.com, and it has a "professional" critic review score average of 53.71% based on 17 reviews on GameRankings.com. 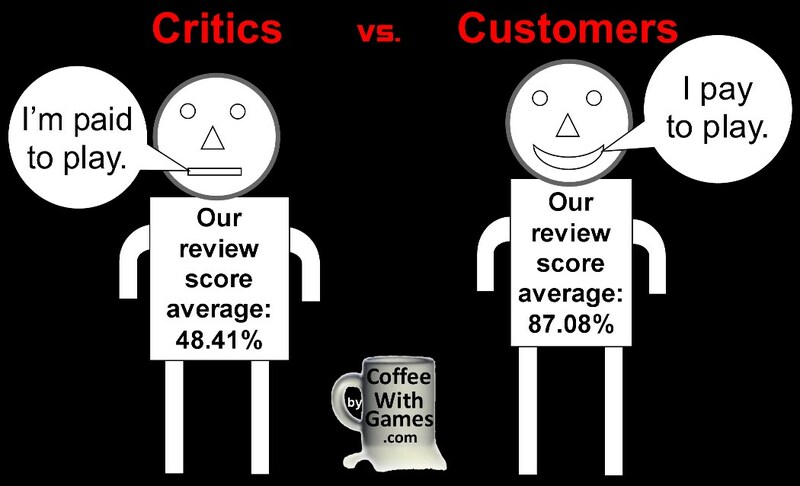 The customer review score average is lower than the critic averages, by basically 10%. 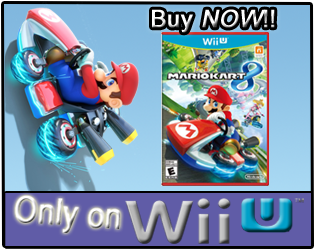 What third party 3DS launch game has the highest customer review score average? Pro Evolution Soccer 2011 3D! 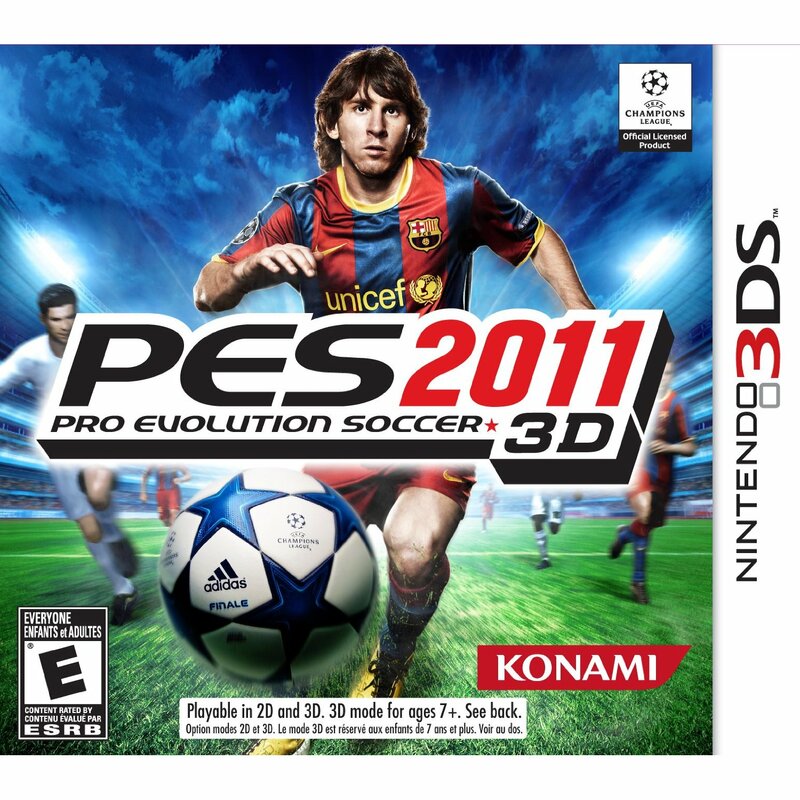 Pro Evolution Soccer 2011 3D has an Amazon.com customer review score average of 91.00%, based on 20 reviews. 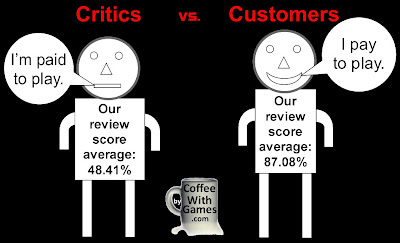 How does the customer review score average compare to the critic review score averages? The game has a "professional" critic review score average of 73 out of 100 based on 43 reviews on MetaCritic.com, and it has a "professional" critic review score average of 73.87% based on 23 reviews on GameRankings.com. As you can see, the customer review score average for the game is nearly 20% points higher than the "professional" critic review score averages from MetaCritic.com and GameRankings.com. If you had told me that Pro Evolution Soccer 2011 3D was the highest customer rated third party Nintendo 3DS game from launch, at least according to customers, I would have found that odd. Why? Because I had looked at most of the 3DS release titles and read reviews on many of them, as I originally planned on buying the Nintendo 3DS day one. From the customer reviews, it really does seem that they enjoyed PES 2011 a great deal; but when reading some of the "professional" critic reviews for the game, it seems that the game had little things that held it back from being a great title. Evidently though, those little things didn't seem to bother many of the customers. 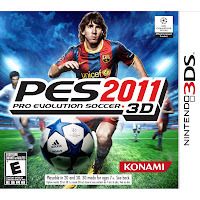 Pro Evolution Soccer 2011 3D might be harder to find now, due to the newer Pro Evolution Soccer 2012 already being released earlier this year. If you are a current 3DS owner or getting the 3DS XL this weekend, PES 2011 might be a game to add to your list if you go bargain bin shopping, or if you find a "Buy Two, Get One Free" sale happening sometime. Did any of you correctly guess, without looking of course, the best and worst rated 3DS launch titles? 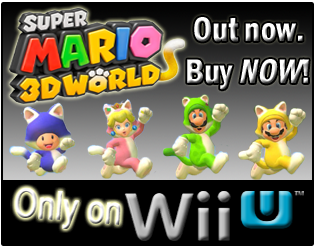 Were any of you surprised to see what the best/worst customer reviewed 3DS launch games were? More importantly, if you are a 3DS owner and have played either of The Sims 3 or Pro Evolution Soccer 2011 3D, would you lean more toward the critic or customer review score averages for the games, and why? Actually, Samurai Warriors for the 3DS is in a similar boat as PES 2011 with the difference between the critics and customers; but it wasn't high enough overall to get the "best". PES 2012 improves upon 2011 in that it's not as laidback in its extension and has a more competitive drive, but they're both great efforts, I felt. Never played Sims 3 but I haven't heard one good thing about it, so there you go. Pretty interesting discussion caught my attention. The 'Coffee with games' revealed some very interesting thoughts on these titles. Fascinating to read about it. Warriors games are one of those games that have a fanatical following (me included in that group, to give a full disclaimer). They cosplay, they fanfic, they buy costume DLC. When you have a fanatical following, it tends to artificially the "user score" rating. But critics are far too harsh on the series, for the simple fact they refuse to acknowledge the fan base. I thought PES 2011 was pretty poor to be honest. It was a really, really limited game in terms of play modes, and the difficulty curve was all kinds of unbalanced. By contrast, I didn't mind the Sims 3. It was a fairly lightweight package, but it was good for pick up and play. Yeah, and then the people who read these professional reviews, at least the majority or half of them who base their buying option in the hands of these critics will of course... put aside the game over something else. I enjoy the Samurai Warriors series not just because of the gameplay but also because I have this extreme interest in Japanese history. Yes, not Dynasty Warriors though. And also, I think even with all those professional reviews, its publisher continue to publish the series outside Japan for the reason that we continue to buy it. Did you get to try the online mode in PES 2012? "Look forward to future additions to this new column." Thanks for that, I was even working on a few image ideas for it. Hopefully I can get it the image idea put together for future posts. "I thought PES 2011 was pretty poor to be honest. It was a really, really limited game in terms of play modes..."
"By contrast, I didn't mind the Sims 3. It was a fairly lightweight package..."
Did I spot a bit of irony here, or is it just me? 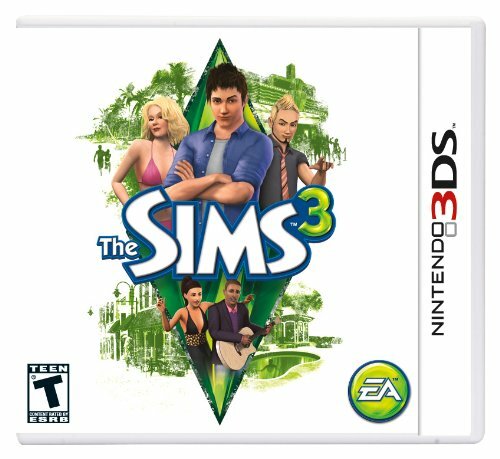 From what I read of both games, they both weren't as fully featured as they could have been, but most said The Sims 3 was a very rushed version that cut out a lot of what makes Sims games, well...Sims games. "If you have never played any of The Sims games then perhaps you will like this, but as a die hard sims fan too much of the game's essence was lost in this scaled down version." The difficulty in PES 2011 was mentioned in multiple customer reviews though, and one "verified purchase" review that was said to be a "great fan" of the series mentioned the lack of some modes, but gave it an overall 3 out of 5 Stars. Haha, that's me alright. I'm a casual Sims fan at best, and the game scratched that itch. From memory I scored it 3/5 for PCWorld. "The difficulty in PES 2011 was mentioned in multiple customer reviews though, and one "verified purchase" review that was said to be a "great fan" of the series mentioned the lack of some modes, but gave it an overall 3 out of 5 Stars." From memory (again) I scored PES 2011 a little higher than that - 4/5 perhaps. But that was on the basis of a week or so of intensive play. A year later, and while I still play the PS3 game from time to time (having not "upgraded") I haven't touched the 3DS version in months, so my initial enthusiasm for the game has been tempered by time. Ah, I thought I had replied to this one, missed it! "Yeah, and then the people who read these professional reviews, at least the majority or half of them who base their buying option in the hands of these critics will of course... put aside the game over something else." Yeah, and it's also interesting that so many publishers and developers even now, use the MetaCritic average for bonuses and/or hiring new employees. I can only imagine the potential nightmare of losing a job, because the game worked on received a low MetaCritic score, but received a high customer review score. There's a lot of shovelware I skipped, but I think in terms of disappointment factor, Pilotwings Resort still ranks up there in terms of wasted opportunity. Limiting their marquee 3D title to a single island was stupid, If the game was launching alongside Mario, maybe it would be ok, but it was their main title out of the game, aside from Nintendogs and Steel Diver. My best is Resident Evil Revelations. Not only does it have a fun streetpass mode, it's visually impressive in a way that Nintendo's own games haven't yet matched. Can you imagine a Zelda game looking like that? You are one of several I have heard mention about "limiting" the gameplay in Pilotwings to a single island. To me, it seemed that Nintendo was raising the price on 3DS games, simply because it was a new system, but not necessarily delivering the content in their initial launch games to back up the price increases. As for Resident Evil Revelations, I have been watching that for the last 2 months or so, and have been very impressed by how well received it has been on the system.